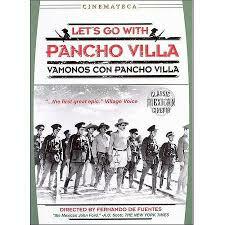 Let’s Go With Pancho Villa! Social tensions bubbled beneath the prosperity of Porfiro Diaz’s thirty-four-year-long dictatorship. A middle-class revolution organized by Francisco Madero in November 1910 was easily crushed but the uprising unleashed powerful social forces. In the north, Pascal Orozco and Pancho Villa led a revolt against local oligarchs. One of the more effective leaders in the south was a village chief in Morelos named Emiliano Zapata. Faced with rebellions in eighteen states, Diaz fled the country in May 1911. Madero became president but when Diaz loyalists launched a coup in February 1913, he mistakenly trusted General Victoriano Huerta, who switched sides, deposed Madero, and then made himself president. Huerta dismissed Villa and Zapata as threats but the situation worsened when Venustiano Carranza, governor of Coahuila, assumed leadership of the revolution. Despite Huerta’s contempt, Villa had built up a professional army, while Zapata had become a skilled guerrilla. When Huerta fled to exile in Spain in July 1914, Carranza thought that he was the natural choice for president, but Villa and Zapata had the two largest armies in Mexico, and they detested Carranza. However, Alvaro Obregon, a leading general, nursed a grudge because Villa had tried to execute him, and allied with Carranza. Since Zapata had little interest in events outside of Morelos, Villa was left to face Obregon alone. Several large-scale battles proved that Villa was simply a charismatic cavalry leader, and he limped back to Chihuahua. Leaving Villa and Zapata contained in their respective strongholds, Carranza took control of the rest of Mexico. A desperate Zapata was assassinated in April 1919, but Carranza’s opposition to Obregon’s candidacy for president proved fatal in May 1920. Villa was allowed to retire in exchange for peace, which ended the revolution after ten long, blood-soaked years. 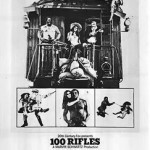 As a group of friends get drunk, their anger at the army mixes with their desire to prove their bravery to each other, and they resolve to join Pancho Villa’s army to take part in the revolution. Don Tiburcio Maya (Antonio Frausto), Meliton Botello (Manuel Tames), Rodrigo Perea (Carlos Lopez), Maximo Perea (Raul de Anda), Martin Espinosa (Rafael Munoz) and Miguel Angel del Toro (Ramon Vallerino) decide to leave their village La Plata and join Pancho Villa’s army. Meeting with Villa (Domingo Soler) himself, the six men are named the Lions of La Plata. Initially bursting with optimism, the endless battles take a toll on them, both physically and emotionally. Villa’s army wins a number of battles, but each battle costs the life of a Lion until only one remains. 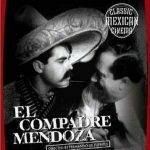 Like all of director Fernando de Fuentes’ films on the Mexican Revolution, the script is a bit light on details, so it never says if they are fighting Huerta or Carranza, but I presume that it is Heurta. When the Lions first arrive at the villista army, Villa is promising his men land as he fills their hats with corn. This scene sums up Villa perfectly, personal involvement in every aspect of his army and the devotion of resources to his soldiers, not the average peasant. Making himself the center of everything, Villa even greets the new recruits. There are many cavalry charges as they drive federal troops to retreat, but there is little mention of places. As a former bandit, Villa was primarily a cavalry leader, but he understood the importance of artillery, and had purchased modern artillery, but it is not shown in the movie. 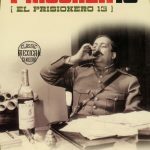 The director knew that any criticism of Pancho Villa was risky, so the film begins with the statement that it is an homage to the fervor that Villa inspired in his followers, but the cruelty can not be blamed on a single group of people because this was an age when blood flowed, not just in Mexico but Flanders Field and France. The battle scenes are decent, and the producers clearly had a large budget. Made in 1936, the violence is not graphic, but the film does not whitewash the cost of war, so the ground is littered with dead bodies after each battle. Tiburcio, the leader of the Lions, had left his wife and kids behind when he joined Villa, so he makes the rest of the Lions swear to care for his family. It has been five months of warfare with no end in sight, so they discuss how they want to be buried. There is a great bond between the six men, which draws the viewer deeper into the story. Not all of the Lions die in battle. After a major victory, the three surviving Lions are admitted to the Dorados, Villa’s bodyguard. The villistas get drunk in the city, but the head of the Dorados gets especially drunk and suggests that they throw a gun into the air in the dark at midnight so the gun can decide who is brave and who is a coward. Later, one of the Lions shows signs of smallpox, so Villa orders that both his possessions and his body must be burned to prevent the disease spreading through the entire army, even though he is still alive. Both are intense scenes that make the film worth watching. Since the villistas’ lives revolved around trains, the film devotes a fair amount of time to actions revolving around trains. In particular, an amazing scene near the end of the movie shows how many people were crammed into each train. Genuinely popular with his troops, but ruthless, Villa is portrayed fairly. Actually, the original ending had to be cut because it was a harsh depiction of Villa when he had lost his army and acted more like a bandit, than a revolutionary leader. In the end, Let’s Go With Pancho Villa is a brutal look at the price paid by soldiers in the Mexican Revolution.